Yankee Wire Cloth Products has served dozens of different industrial end markets since 1963. 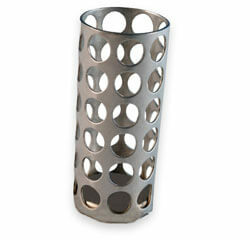 Thanks to a commitment to quality and capabilities with many types of materials and manufacturing techniques, the most demanding customers trust us to meet their wire cloth filter, perforated metal strainer and metal filter needs quickly and effectively. Our custom metal filters and strainers keep your business humming. Whether you’re looking for a more durable or less expensive OEM alternative, or you have a true custom challenge due to an outdated part or unique challenge, we can handle it. We can make custom replacement wire filters and metal strainer filters that meet or exceed original OEM specifications. We can work off of your drawings or even build a new part using a worn or damaged out-of-production product as a template. Interested in learning more about the industries we serve?